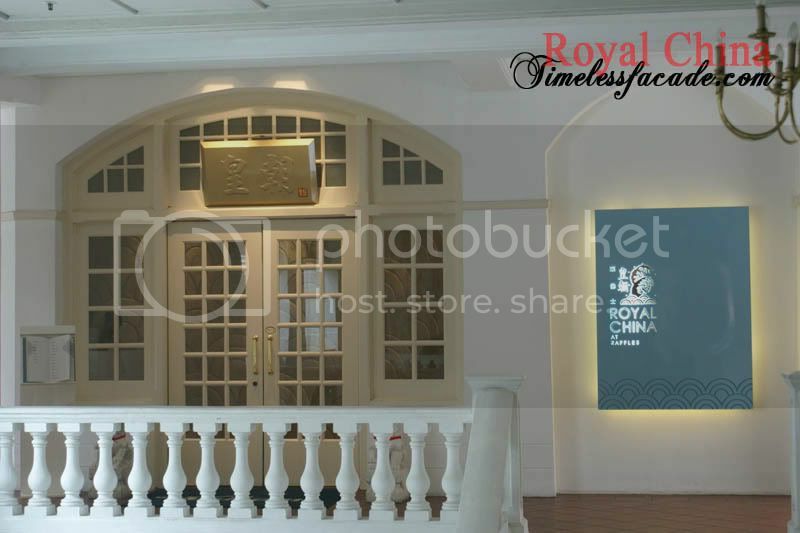 I eagerly awaited an excuse to patronise Royal China after their month long facelift and thankfully, such an opportunity presented itself one fine Sunday morning. 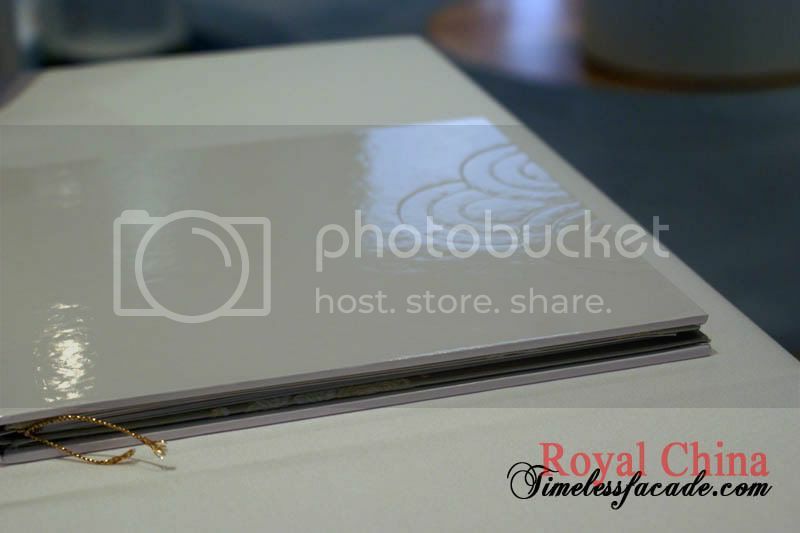 To read more about Royal China, please see my previous entry here. 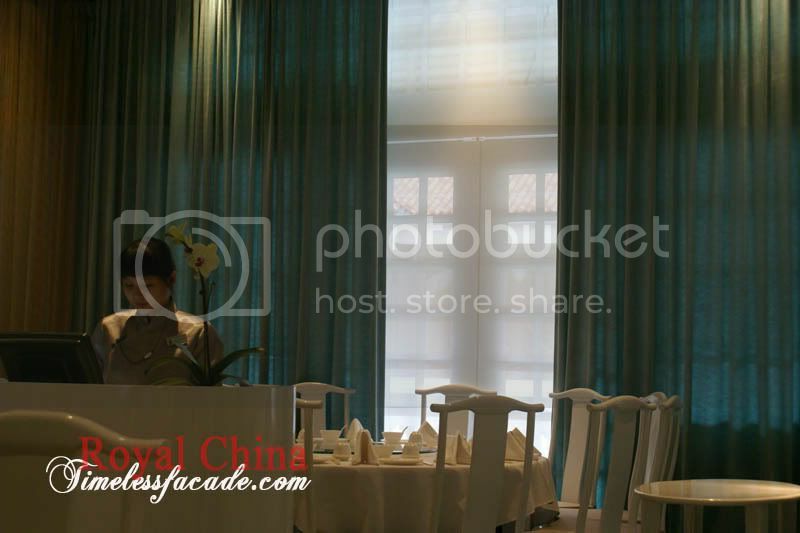 Royal China after the facelift sports a more contemporary interior with blue as the predominant colour and supporting flashes of white in the form of tables and chairs. 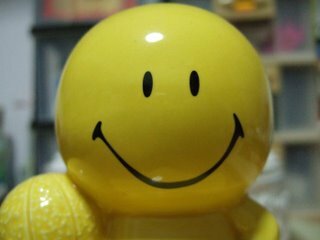 A very simple yet striking choice of colours which is said to be most effective in calming a person down. To a certain extent I do agree because the whole place felt dreamy especially with sunlight faintly peering through the translucent curtains. Having said all that, I am still partial towards the old wooden decor which is more oriental and befitting of a Chinese restaurant like Royal China in my humble opinion. Fresh with the memories of Yan Ting's excellent(albeit pricey) XLBs lingering in my head, Royal China's rendition offered nothing more than feeble resistance. The skin was a teeny weeny bit too thick and the juices seeped(not gushed) out when I made a tear in the skin. The meat filling also contained a little too much ginger for my liking. 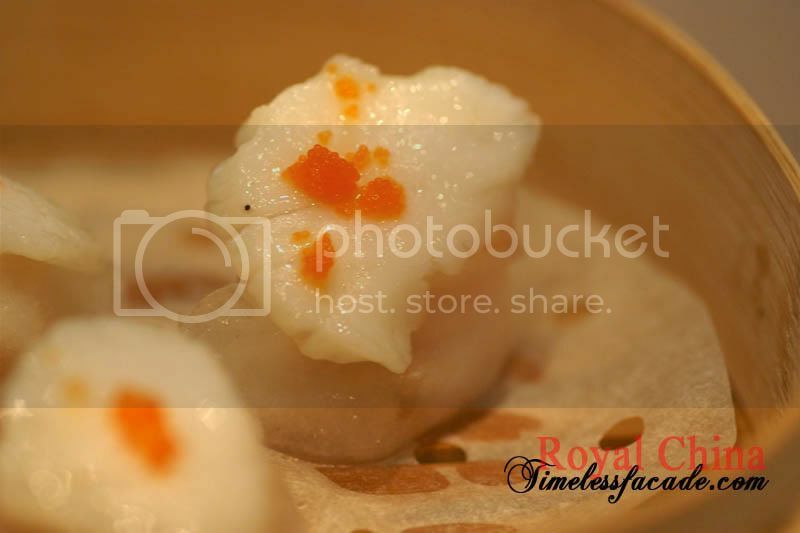 Fresh crunchy prawns wrapped in a stretchy thin skin and topped with a nice slice of scallop. Whats not to like? A nice eat but lacked the wow factor. A staple in my dim sum repertoire, the deep fried beancurd skin roll was nothing short of excellent. 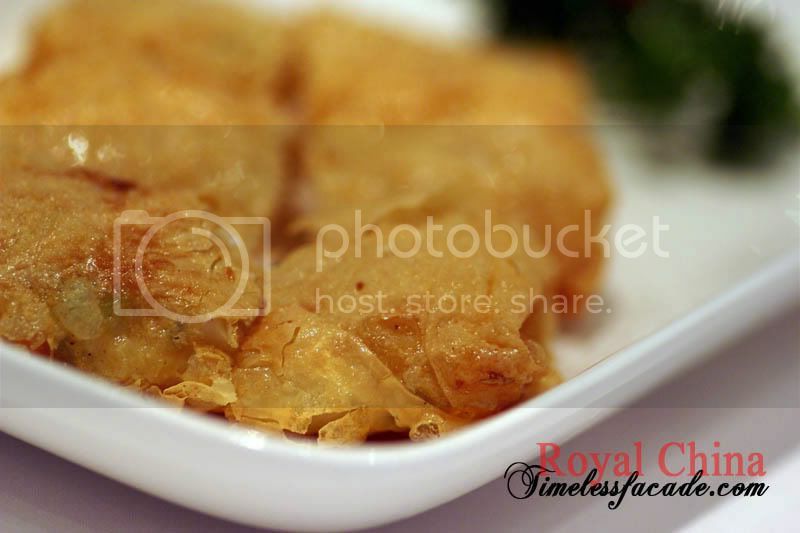 Crackling crispy skin enveloping a nice prawn paste filling and served with a lightly sourish sauce. Only minor gripe I had was that the skin was cracked in a few areas which affected the aesthetics of the dish. I must say that the Char Siew Sou has actually improved quite a bit since the last time I tried it. 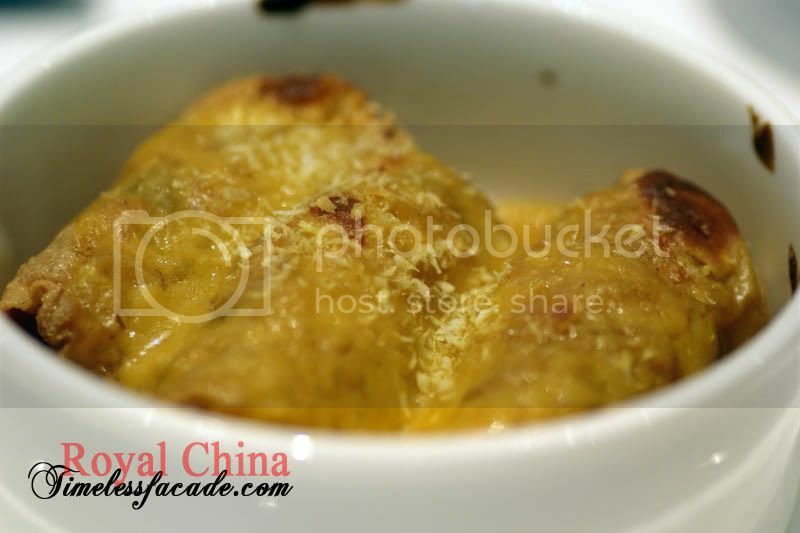 The pastry is noticeably more flaky with a pleasant buttery undertone and the char siew filling is filled with more bite while retaining its mild sweetness. Very good and second only to that of Yan Ting's. 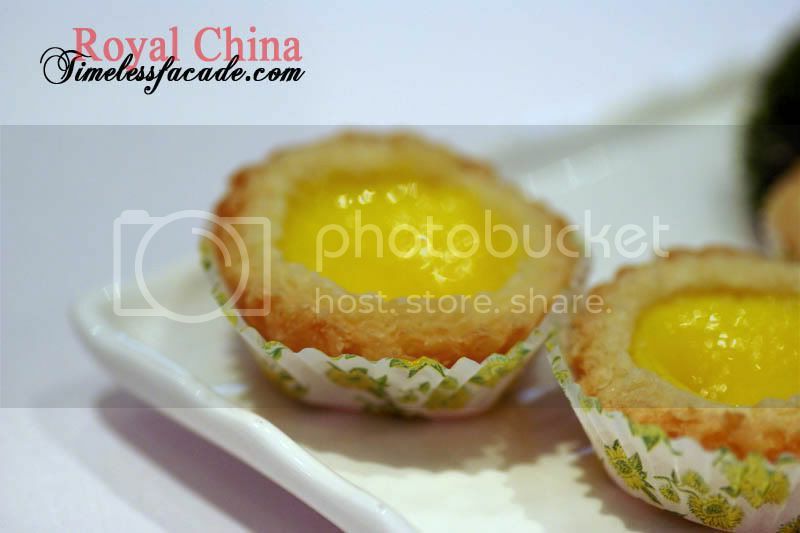 The egg tarts were actually quite good with the pastry flaky and the egg custard smooth without being too coagulated. It helped that the custard didn't come across as too sweet as well. However, I personally felt that the pastry could have been a little more buttery which would have enhanced the overall taste. Our first and only mistake of the entire meal - the Baked Duck Meat Roll in Portuguese Sauce. 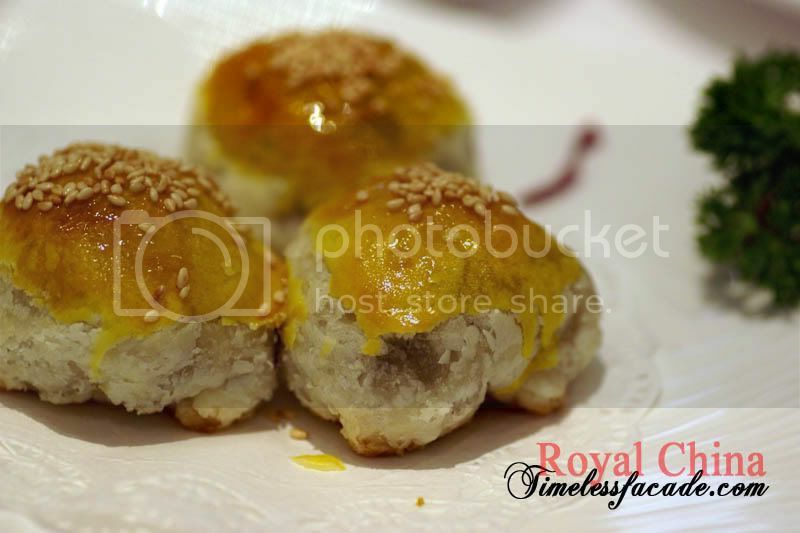 Served up looking like traditional liver rolls (ngoh hiang), the duck rolls were drenched in the savoury Portuguese sauce. The result? Duck meat rolls that didn't have any hint of duck taste but instead reeked of the overwhelming Portuguese sauce. Between the 2 of us, we finished 1 roll. 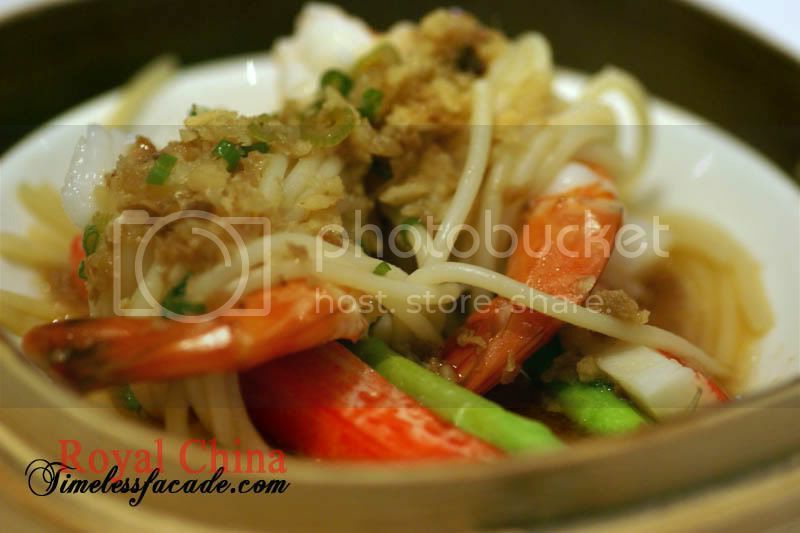 This dish looked rather messy with strands of noodles all over the place, a far cry from what I usually get. 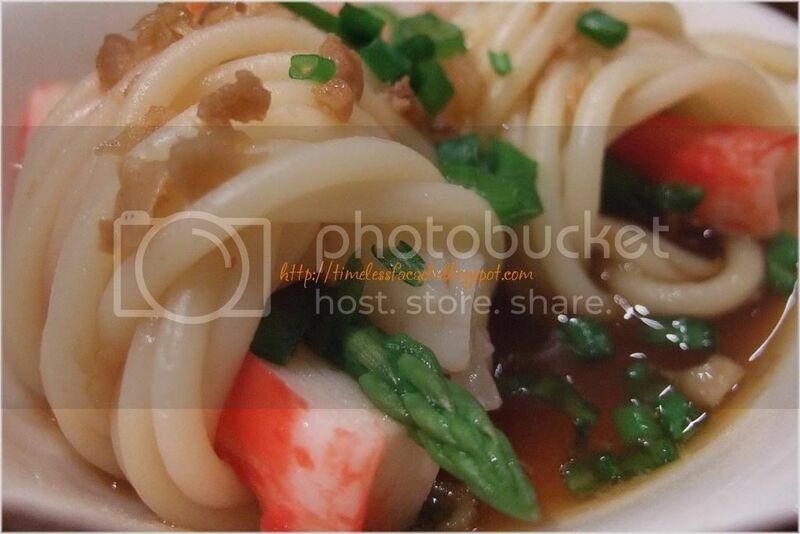 Nevertheless, I still like the combination of prawns, asparagus, crab stick and noodles all rolled into one. For $8.80 a pop, I certainly wasn't expecting a lot. The fins were of average grade and present in minimal quantities. 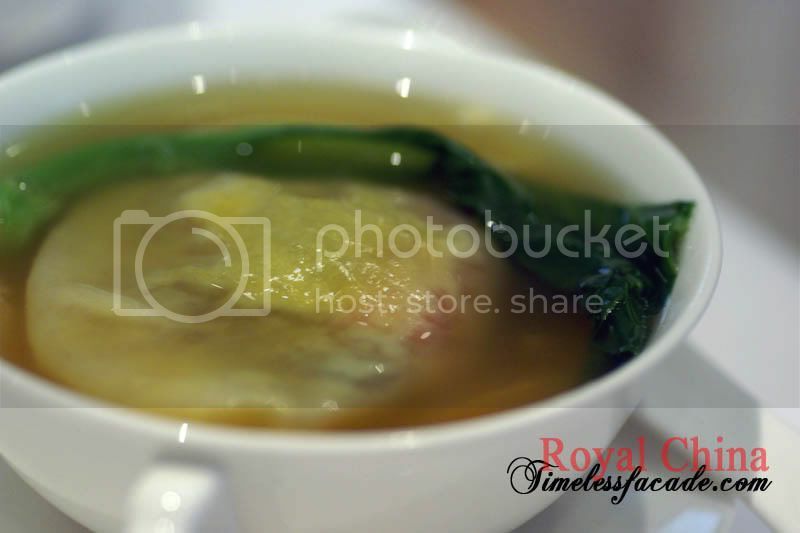 But I liked the light broth which complemented the ingredients of shark's fin, prawns, scallops, all wrapped up in a thin dumpling skin. 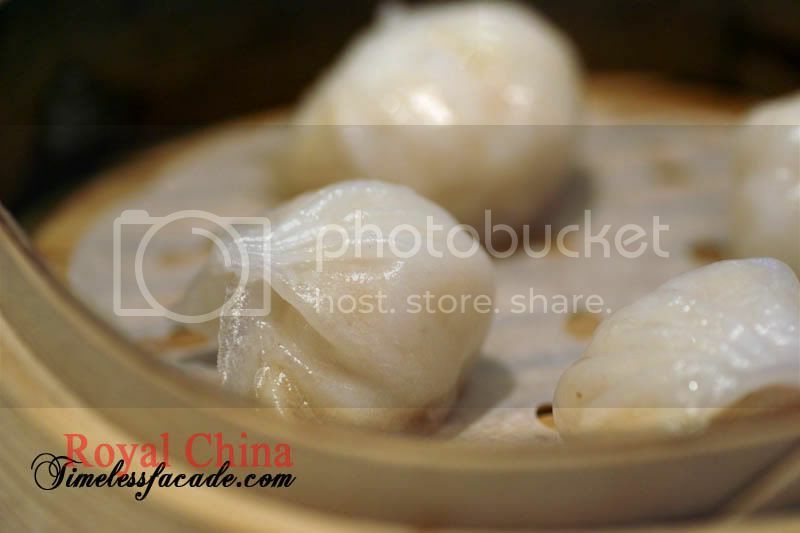 Another staple in my dim sum order list, the Har Gao boasted translucent skin with a slightly chewy texture covering a mould of fresh crunchy prawns. Simple yet good. 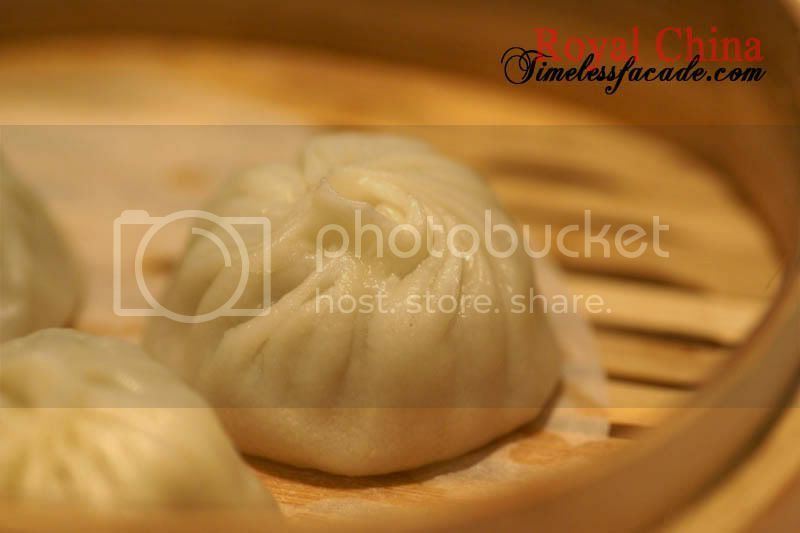 The Siew Mai was evidently quite good with the notable absence of the overwhelming pork taste that plagues alot of Siew Mais sold in other places. The meat tended towards the leaner side as well which of course makes for a healthier choice. Its funny how they try to market the special dishes, going from table to table with a tray full of the dishes and enquiring if we wanted to try. The prawns with rice crisps was one such dish and it was actually quite good. 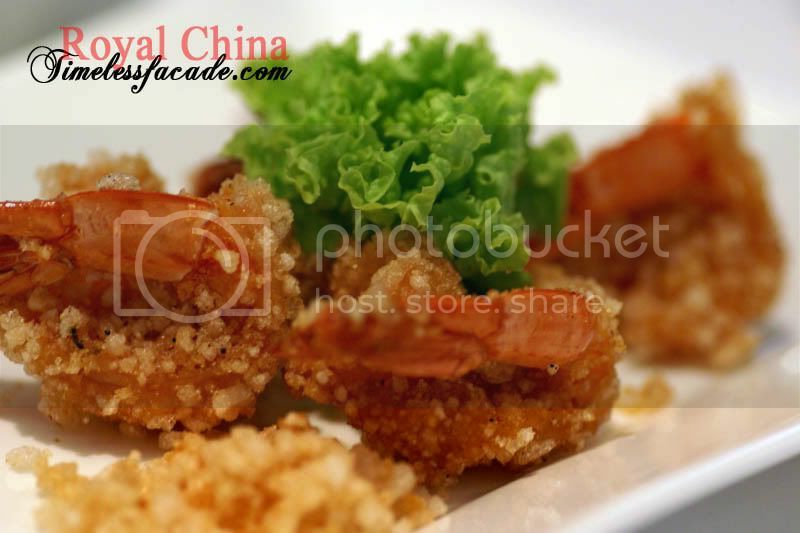 Fresh and sweet prawns coated with rice crisps for that crunching texture and sound. But its $8 for 4 mid sized prawns, which really isn't worth the money. 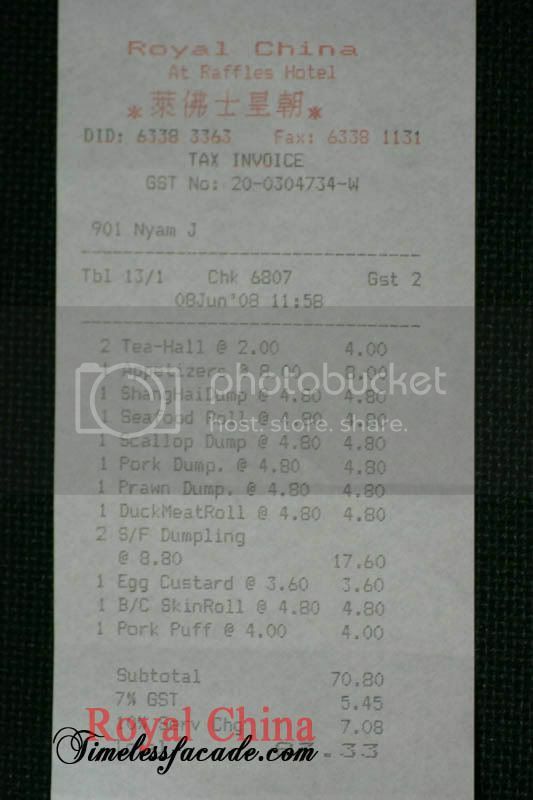 $83 for 2 pax is probably the most I've ever chalked up for a dim sum lunch at Royal China so far. But as with the many previous visits, I left stuffed and satisfied. Service is excellent and so is the food. 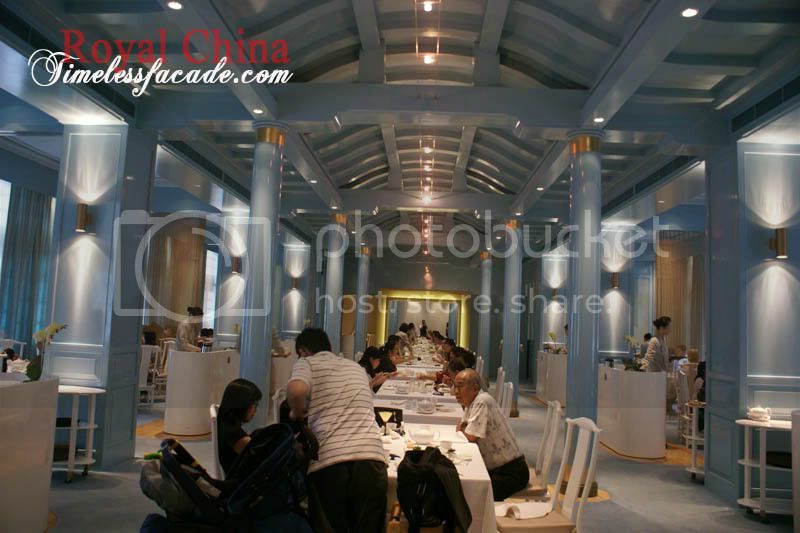 However Yan Ting still ranks first on my dim sum list, with Royal China a close second. 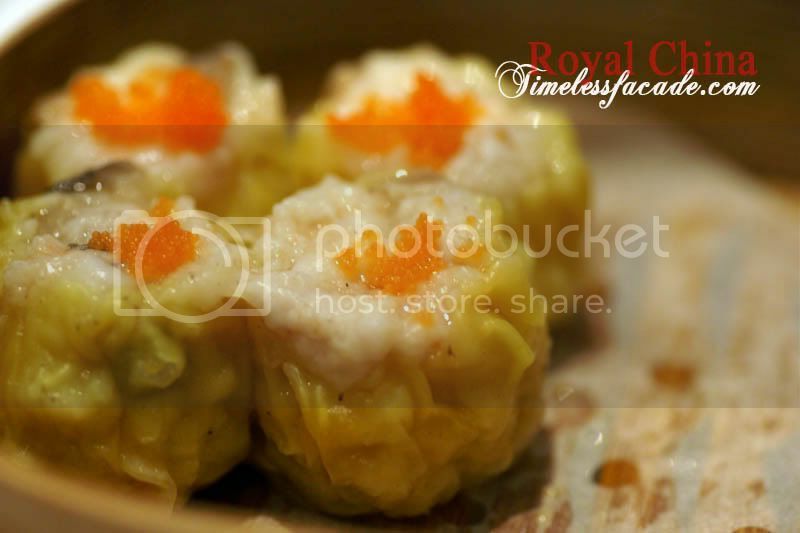 Reservations for dim sum are always necessary unless you really don't mind waiting for a place to free up. 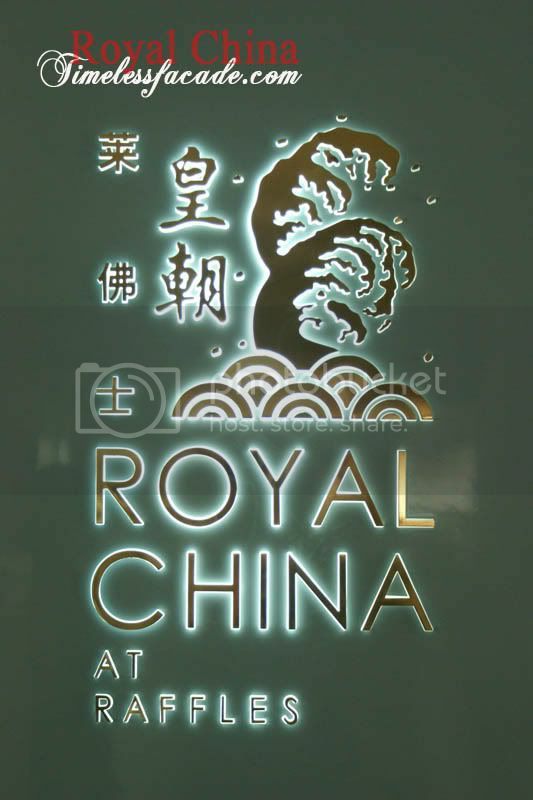 Having read your many review on Royal China, I would like to know do they serve normal dishes or are they a purely tim sum restaurant.